Why Did We Choose the Roland V-1HD As The Best Video Switcher For Church? 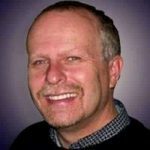 Conclusion- Why Should You Buy the Roland V-1HD Video Switcher for Your Church? A video switcher is a necessary piece of equipment when your church video production requires multiple cameras. The Roland V-1HD HD is at the top of the list of quality video switchers for professional use. It includes four HDMI inputs, along with a powerful eight-bit video processor. Finding the right video switcher is not always easy. You need to ensure that it can handle your video equipment. With the Roland V-1HD, you can use either SDI or HDMI connectors. You may also need to connect audio equipment to your video switcher. The V-1HD switcher includes two mic inputs, along with headphone outputs. It is also equipped with two sets of analog audio inputs and outputs. For those who have never used a video switcher, these devices may appear complicated. If the operator has no experience with a video switcher, the Roland V-1HD is a wonderful option. It includes a simple interface, including an easy-to-view light panel to let you know which camera is currently active. The Roland V-1HD offers value and quality in a compact package. You can quickly connect it to the rest of your equipment and start using the switcher without reading a single page from the instruction manual. If you are searching for a new video switcher, you should learn more about the Roland V-1HD video switcher. The inputs should match the output on your cameras. The two most common connections include SDI and HDMI. The outputs should also match the devices that you are using to record or broadcast the video output. For example, if you are connecting the switcher to a computer, you may need HDMI outputs. For monitors, the connection may depend on the type of monitor. A video switcher with a built-in processor can convert analog signals to digital for digital output. You may also need to convert digital signals to a specific bitrate for live streaming or broadcast. Depending on your needs, the video processor may be an essential component. Cost is also a factor when choosing a video switcher. 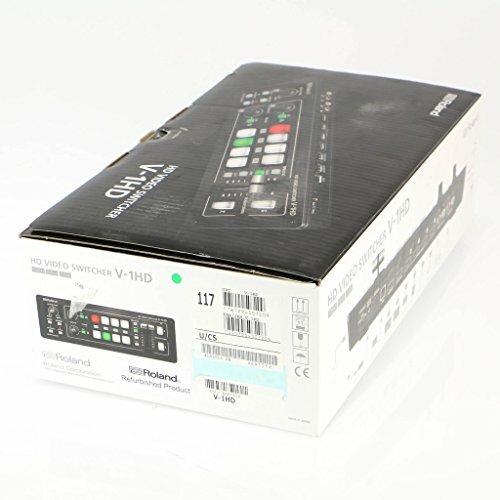 If you do not have a big budget, there are still many quality options, including the Roland V-1HD video switcher. The Roland V-1HD offers the best value for a video switcher. While it may not be the most sophisticated switcher for professional video production, it provides the best quality in its price range for your church. Due to the price of the Roland V-1HD, almost anyone can afford to add this device to their video production equipment. Amateur videographers, churches, and small businesses may enjoy this affordable video switcher. The Roland V-1HD is affordable, but it offers exceptional video processing. It uses HDMI inputs and includes an HDMI output. The resulting video always looks great if you are using quality cameras. 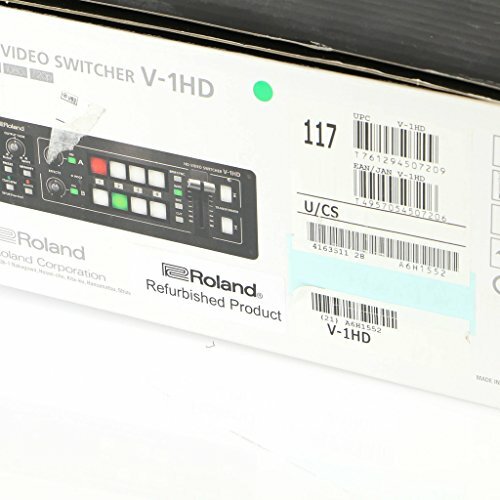 While Roland also produces a variety of other switches, the V-1HD was selected for its convenience. It does not have a crowded console with an endless number of buttons and controls. You have a simple interface with self-explanatory buttons and displays. This video switcher also beat out the competition due to its reliability. This is a video switcher that should offer many years of use, even when used daily. It is designed for professional applications and should not fail you in the middle of a broadcast or live video stream. The Roland V-1HD provides several advantages that you do not always get with a video switcher. These advantages include the price, the inputs, the size, and the ease of use. At just under $1000, this video switcher is reasonably priced. It is not incredibly affordable, but it does offer great value. With the provided inputs, you can connect almost any video source. Besides HD camcorders or professional cameras, you can connect almost any media device, including smartphones and laptops. The Roland V-1HD is also compact, measuring just 16 x 6 x 6-inches and weighing less than five pounds. You can easily place it on a desk without cluttering your available space. It is also easy to use, with a limited number of buttons and a simple layout. The disadvantages of this video switcher include the lack of an SDI output and the limited number of HDMI inputs. While this is an affordable professional-grade switcher, it only includes four HDMI inputs. For certain applications, this may not provide enough inputs for connecting all your cameras. It also lacks an SDI output, which is often used for professional video applications. The Roland V-1HD is the best video switcher, thanks to its simple interface and quality video processing. It can handle four HD cameras and can be connected to a video card on your computer or laptop. While there are larger switches with more inputs and outputs, they often cost a considerable amount more than the Roland V-1HD. With this device, you get the best overall value, thanks to the dependable design. When using a video switcher for a live broadcast, a malfunction is the last thing that you want to happen. With the Roland V-1HD, you should not need to worry about the device malfunctioning. It is a reliable product with a simple interface that anyone can use. The only drawbacks include the lack of the SDI output and the limited number of HDMI inputs. Overall, the Roland V-1HD offers the best value for a simple video switcher. You do not need any experience with these devices to connect your cameras and start switching your view between cameras while recording a broadcast or delivering a live video stream. It is an easy device to use, and it provides the reliability needed for professional use.